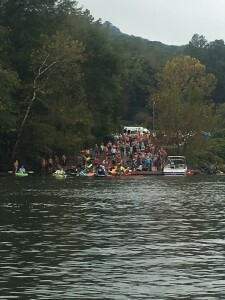 A magical swim down the Tennessee River. Towering gorges, rock formations and the leaves displaying a hint of ginger as they threaten to change into the colors of fall. The water a crisp 75F, flowing gracefully in parts, holding steady in others. The majority of the swim felt this serene. I like to recall those moments and note what I was doing to keep the feeling of calm, fluid swimming alive. As in any marathon swim, there were the moments where the swimming felt anything like magic. Around mile 8 I was slipping. The overcast skies did not allow a ray of sun through, and my cold hands and feet were bothering me. My neck and shoulders were starting to fatigue and I could not decide if I was hungry or not, thirsty or not, able to keep going or not. I had anticipated to feel this way at some point during the swim. Training in the summer was disrupted by a long family vacation overseas with minimal training. 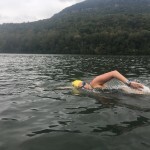 I was picking back up with about 6 weeks before the race – my focus here was on carefully increasing volume in a way that I was not going to injure myself or get sick, and to practice my SwimEQ skills during every swim. These are the skills I most needed at mile 8. 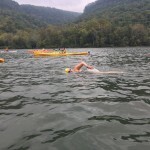 I decreased my swim intervals from 30 minutes to 15 minutes and used this extra rest time to assess my needs. 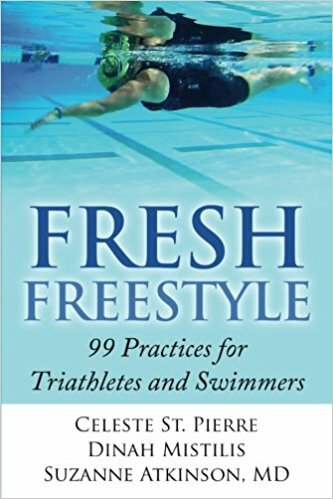 I also then allowed myself as much time as I needed to breaststroke, and then transition into smaller manageable freestyle intervals. The extra rest time also allowed me to enjoy my surroundings, to get my mind back to calm – green. I saw steep forested inclines reaching up to the low hanging grey clouds. I saw many pieces of soaked wood and fallen leaves floating along with me. I allowed the cool water to soothe my tired body. I saw Damian sitting on the kayak calmly paddling along with occasional chuckle as he chatted with nearby pilots. 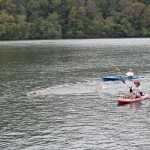 I saw the swimmers near me, most of them we had shared several miles together in close proximity. I saw the aqua ducts of Raccoon Mountain and heard the swoosh of a speed boat from time to time. I wondered about my amazing friend Kirsten Sass who was racing in Kona – had she started her swim yet? How was she feeling in the water? 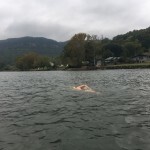 This time may have felt like an eternity, but it was a morsel in the 10.36 miles of the swim, a half hour in my 4 hours and 46 minutes of swimming. It was time well spent and I enjoyed this time of grounding as much as the swim itself. 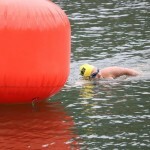 The final mile and a half into the finish was sweet and I felt like I had executed a great day of swimming. I began to process the day already – what did I do well? 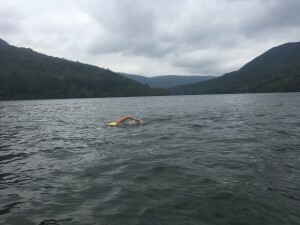 What can I do differently for the next swim? What did I learn about myself today? 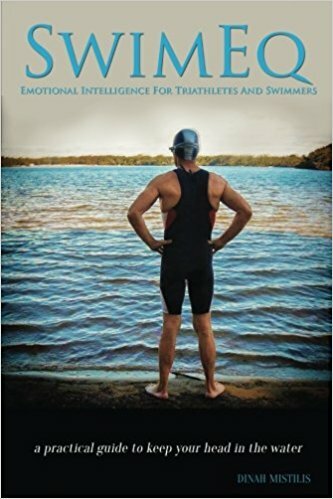 Making mental notes to become a better athlete, a better coach, and a better person.